My favorite thing about working in startups? Companies like PlanG. We are inundated with apps, social networks, and games that seem to make little real difference in the world. It’s often hard to identify the real problem companies are solving, even if those companies are creating something fun. PlanG isn’t like that. Instead, PlanG is taking philanthropic giving and making it easier and more efficient. Individuals simply create a “giving” account and deposit funds into it from their credit or debit cards. They can also create fundraising campaigns to get their friends involved, or give and receive PlanG gift cards. Then, each person can pick from over 1 million charities to give to, as many charities as they want. The PlanG account gives the money securely, and at tax time, there’s a tax report all ready to go. Personally, I love this idea alone. It makes it easier to manage the money you give to causes you love, and increases your awareness of what you’re giving. I’m sold on just those features. But, the best thing about PlanG is the platform they’ve created for brands. We all know how giving-through-shopping works: brands pick a cause and customers know when they purchase something, a percentage goes to the advertised cause. Think Gap’s (red) campaign. This tactic is called cause marketing, and it allows brands to promote brand loyalty through the emotional connection people have with giving to others. By some measures, 80% of customers are willing to switch if a brand is associated with a good cause. How much more powerful would that be if the individual shopper could pick the cause themselves? PlanG’s “Spend and Give” platform allows brands to offer just that kind of customization. When you shop at businesses with the free platform, a percentage of your purchase is deposited into your PlanG account. Then you can give to whichever cause you see fit. With their suite of business products, PlanG helps brands build customer loyalty, but it also makes giving more frictionless for individuals. Sometimes the big name organizations a brand might partner with are actually pretty controversial. Customers may not want their money going to that particular cause. Allowing individuals to channel their money to causes they love will also increase their loyalty to the brand. The Richmond-based company has had a busy 16 months.Founded in 2010 by Marti Beller, Heather Loftus, and Melina Davis-Martin, they closed a $4 million angel round in February 2012. They used that money to build their beta site and various features of the product. The site launched out of beta in February 2013, and now they are focusing on new strategic partnerships with businesses that may want to utilize PlanG’s giving platform. Check out the PlanG website for more information and keep up with them on Twitter. 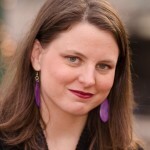 This female-led startup is doing great things. This 14 year old social entrepreneur in Chattanooga has been at it for 4 years already. 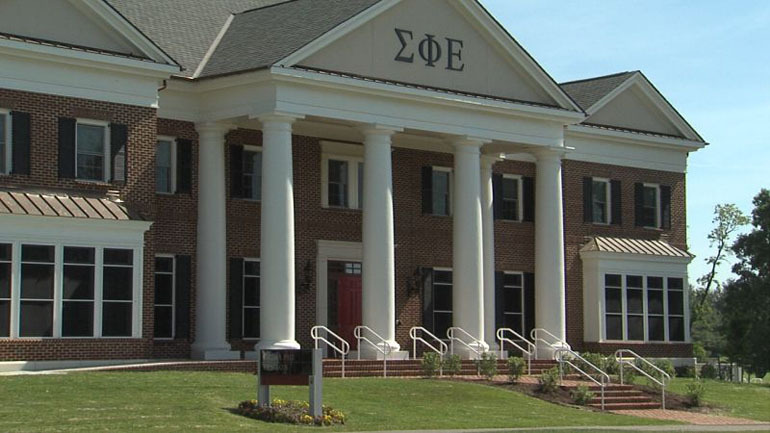 When Virginia Tech kicked Sigma Phi Epsilon out of their house and off their property last year, they weren’t sure what they were going to do with the mansion that housed the miscreant fraternity. Sure they could look at other fraternities or use it as housing for faculty and staff. However what the university decided to do was, well, innovative. The Washington Post reports that Virginia Tech is looking for 35 male and female freshman with an entrepreneurial spirit. They are looking to start an innovative living and learning community that will force collisions between the creative and the entrepreneurial as they venture into college. This is a great start for the prestigious university that was struck by the worst school shooting tragedy in college history just six years ago. Obviously technology is a big part of Virginia Tech already and connecting the techies with the creative and business savvy entrepreneurs can only be a recipe for success. Hayden Lee the president of Virginia Tech’s Entrepreneurs Club is worried that this may not be enough. Lee is hopeful that the house will include a designated hacking space, high tech gadgets, and flexible programming. Latka believes that the house will attract 300 applications, draw $3 million dollars in investment, and create 30 jobs. Does your startup have culture, should it? This week starts our 12th South By Southwest, the last four have been spent as a tech journalist and before that I attended the music portion during my radio career. SXSW can be intimidating for a first timer, especially a first time startup, that’s why we’re featuring some great SXSW Virgins, seek them out, find out more about them and help them out if you can. VinylMint is a cool startup in Norfolk part of the Hatch Norfolk accelerator program. As a startup in the music business, SXSW is two fold for them. organized a new marketplace for transactions between sound creators. Socially connect with music talent around the world. Is this your first time to SXSW? This will be Vinylmint’s first time at SXSW. What are your plans at SXSW? a premier opportunity to grow Vinylmint’s brand. When it’s time to shop for a new car there are hundreds of websites to go to and a handful of sites that everyone trusts. When it gets down to comparison shopping though, your web browser, or multiple browsers can turn into a huge, unorganized mess. If there was a simpler way to comparison shop for cars, similar to the way you can shop for travel through Kayak.com, it would make the hassle of finding the next automobile much easier. That’s the idea behind Northern Virginia based iGrabber. Founded by Khurrum Shakir, Abdul-Malik Ahmad, Deepak Pillai and Ronald Fraser, this talented group of tech savy car aficianados, knew there was a better way. In fact, Shakir, told nibletz.com earlier this year that he was surprised no one had tried to do a search engine, comparison platform like this before. 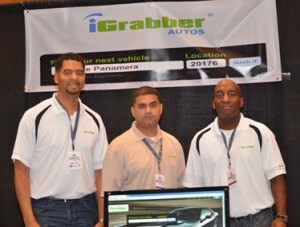 “iGrabber.com takes the frustration out of searching multiple sites for your next car, truck or SUV. We’re the only True Vehicle Search Engine on the web. Taking the Google and Kayak approach we’ve made the process of searching for your next vehicle much easier. Unlike a lot of the Auto sites on the web that only show vehicle listings from within their database we will show you everyone’s vehicle listings in one site.” Shakir said. iGrabber is built around the fact there are currently 7.7 million duplicate unique visitors every month searching for a vehicle of choice. These numbers account for repetition across up to 6 different sites. With iGrabber one site grabs all of the possible car choices and then lets you compare them the way you would compare cameras on bestbuy.com or travel on kayak.com “We have what some have coined as the Kayak of vehicle search.” Shakir told us. If iGrabber can get the word out to the over 7 million people searching multiple sites to comparison shop for cars, this could be a lucrative business. What do you think? Jeremy O’Sullivan and Melissa Nelson are two entrepreneurs in Southern Virginia. Nelson is a self proclaimed (well actually co-founder proclaimed) frozen yogurt fanatic. O’Sullivan is a CPA by trade but decided to jump out of the corporate world and into the startup world when the two of them launched FroBot. Nowadays there’s a vending machine for everything. If you venture over to Asia there’s a wider variety of vending machines than even here in the states. But go to any major city in the U.S. and most airports and you’ll find a Best Buy in a machine, an Ice Cream machine, crazy new soda machines and even the Dippin Dots machine. Nelson and O’Sullivan have created a new kind of vending machine called FroBot. 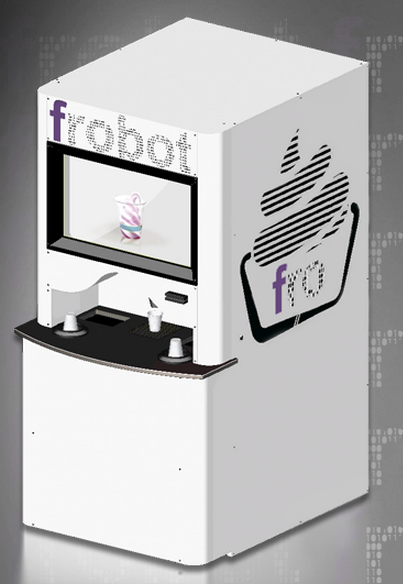 FroBot is the smallest single unit frozen yogurt retailer and is as simple (or perhaps simpler) to use than even RedBox. What about the quality of frozen yogurt in a machine? Nelson tells nibletz.com: After extensive research we’ve found the best frozen yogurt comes from… freezing real organic yogurt, flavored with organic ingredients…not that cheap frozen chemical water junk that too many shops are serving. We’ll never serve a product that has ingredients using 10+ syllable words only a chemist understands. 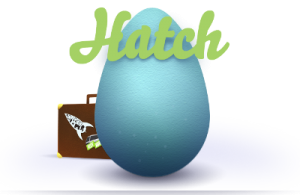 Back in July we interviewed Zack Miller, the director of the new startup accelerator in Norfolk called Hatch. Miller, a Hampton Roads native, decided to start an accelerator program for the region. He decided to put it in Norfolk which is the epicenter for Hampton Roads. Hampton Roads already has three accelerators in Innovation Research Park, Hampton Roads Technology Center and James City County Incubator. RoboCent enables small business, non-profits and political campaigns to easily send call and text notifications to their subscribers, starting at 1.3¢ per message. Through RoboCent’s streamlined and user-friendly platform, clients can receive feedback from their customers, monitor their calls and texts in real-time and send out urgent notifications to subscribers within 5 minutes. Go Wedding Pro is a tool built by photographers for photographers. GWP will help wedding photographers stay on top of their clients’ needs by organizing wedding day details and client info is easier to maintain and access on the go. Go Wedding Pro will make it easier to stay on top of client info, contracts, invoices and tracking post production . From booking to delivering images GWP is the wedding photographer’s best friend. CampusWise is a college classified company catering exclusively to college students. Our aim is to provide a safe and friendly environment so that students are able to trade both goods and services strictly amongst each other. Each school will have a customized page that will only be accessible to those students who share the same university email. uVest is the first personal investment application designed for casual investors who do not have the knowledge, desire, or time to do complex market research and analysis to discover trading opportunities. uVest is designed specifically for mobile users who want to casually browse and enter trading opportunities from verified, high return traders at their convenience. These four startups are going through Hatch Norfolk’s intense 12 week program which includes mentoring, business development, team building and product building. Their applications were evaluated based on team, product, market, pain point and execution. 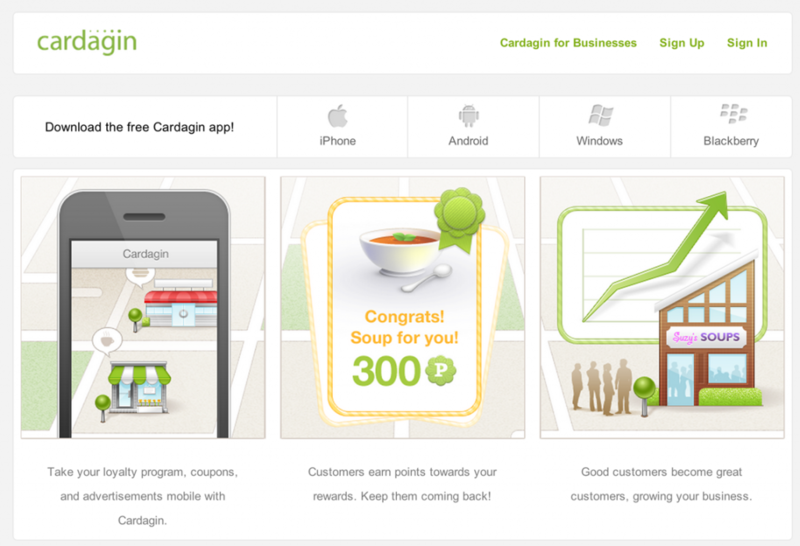 Charlottesville Virginia startup Cardigin isn’t about rewards games, checking in, or loyalty cards. Their loyalty platform gets to the roots of what customers are actually doing in their favorite establishments and then allows businesses to play right into those trends to keep loyalty customers coming back for more. In the past two years we’ve all seen that loyalty and rewards startups are literally a dime a dozen, however Cardigin’s founder and CEO Rob Masri saw that everyone was doing it wrong. “We witnessed first-hand local establishments attempting a myriad of conventional approaches to their loyalty programs – buy-10-get one-free punch cards, keychain fobs, paper coupons, social media, check-in games and daily deals – none of which produced significant profits or customer retention.” Masri told us in an interview. Cardigin has an iOS app and an Android app as well but Masri knows there are still a lot of customers out there that either aren’t using their smartphones for things like loyalty or are much more comfortable without fumbling with technology while grabbing a latte. That’s why businesses using Cardigan can sign customers up with just their phone number. Once the establishment has the customers phone number they can start earning loyalty rewards real rewards that they will use. Check out the rest of our interview with Masri below. Richmond Startup: Lending Clouds, Legally Crowdfunding Startups NOW! One of the biggest steps in supporting startups in 2012 was the passing of the JOBS Act. The act itself was passed earlier this year and then turned over to the Security and Exchange Commission (SEC), to develop regulations. The JOBS Act is the legislation that will eventually make it possible to use crowdfunding sites, similar to how Kickstarter functions, to sell off micr0-equity stakes in companies up to $1 million dollars. The SEC had originally announced that they would be done setting up the regulations back in July, however that was quickly moved to January of 2013. At this time it’s unclear as to when crowdfunding for equity in startups will officially start. Several “crowdfunding” startups have launched. Others have launched websites with beta invites and LaunchRock’s in preparation for when they’ll truly be able to crowdfund for equity. 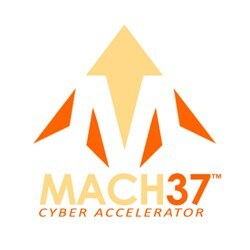 Other sites have set up the ability to support startup companies with mico investments in exchange for “perks” like t-shirts, swags and hardware samples. 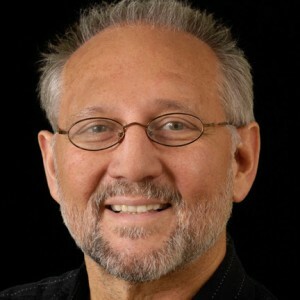 Barry Rickert, a 40 year veteran in the private equity field, has used his vast knowledge and experience, along with the law, to side step the JOBS Act and create a way to fund startups now. His Richmond startup, Lendingclouds, is going to give back royalties instead of equity and to get that you need to join the sites “club”. The combination of royalty based small business financing offers no debt and no personal guarantees to small business that need capital to grow, while at the same time giving investors access to high yield investments that pay immediate income. It’s really quite ingenious. The members only, online Crowdfunding Investment store brings together entrepreneurs and investors in a unique manner designed to benefit both. The funding group provides exclusive investment opportunities to members who bring as little as $100 to the table. Lending Clouds does this by accepting applications from entrepreneurs, which once approved, are offered to investors. Investor members participate in what is known as crowdfunding. Rickert’s form of crowdfunding is focused on pooling resources to invest funds in new businesses, products and ideas that provide royalty based returns. Members are able to spread their funds amongst many different investments, which lessens their risk. Returns of 25%+ are expected on successful ventures. In 20 years, this can result in a $5,000 investment paying $1 million. Members have access to exclusive listings posted on the Lending Clouds online store. They may read through the various opportunities and decide to put money in one or more projects. Once all funding is in place, an Investment Club is created as the vehicle for making the group investment. The club money is released to the user/grantee (entrepreneur) in return for a royalty agreement that details the product or service to be sold and the royalty to be paid over the term of the agreement. Investors start to receive payments as per the agreement between the user/grantee and grantor/investor usually within 30-90 days. As part of Rickert’s lean startup strategy, he is giving away a significant number of $100 credits to new members, with no strings attached. About the only catch (if you can call it a catch) is that investors must pick an investment that gets funded. However, if it doesn’t, they’re free to use the funds to pick another investment. Rickert also states that while the offerings are very small today, he has some million dollar deals in the pipeline. While hundreds of crowdfunding sites popped up the minute the JOBS Act was officially passed, Lending Clouds is not a flash in the pain, or a scam. Rickert has decades of experience in the field and has come up with the quickest, easiest and most legal way to start using crowdfunding mechanics to invest now, not when the SEC is ready. Crowdfunding is by far the hottest startup space of 2012. With the passing of the JOBSAct more and more startup founders are launching some kind of crowdfunding startup. We’ll soon see how successful they are after the SEC brings back the crowdfunding regulations and the crowdfunding sites really take off to fund startups in exchange for crowd-funded micro-equity. One thing we started to see popping up this past summer with Brandery company SocStock, is hybrid crowdfunding companies. That is, crowdfunding startups that are part online and part offline. Where local community members can fund local businesses online via a website. A new hybrid crowdfunding startup has emerged out of the University of Virginia called Seedville. The Charlottesville startup allows local residents to crowdfund local businesses. In it’s current form, instead of equity, the backers get perks. Seedville’s inaugural project is for Matt Rohdie and his organic donut company called Carpe Donut. Rohdie is looking to raise $15,000 in 40 days to start a Carpe Donut food truck. He’s hoping to raise the money to outfit and decorate the mobile donut production facility and sales vehicle. Jessica Lee, one of the co-founders of Seedville is also a big fan of Rohdie’s delicious treats. She and her three student co-founders are using their reward based crowdfunding model to help back Rohdie’s project. Backers will get free donuts and at some levels even a free daily rental of the truck. While sites like Indiegogo and Kickstarter are national sites with bigger audiences, and in most cases bigger raises ,Seedville and hybrid sites like it, are smaller and focus on local projects. UVa law school professor, entrepreneurship teacher and one of Lee’s advisors, Richard D.Crawford thinks that the Seedville project is a great thing. The campaign for Carpe Donut was launched on Friday and has made $150 towards it’s $15,000 goal. Rohdie is looking to purchase a Grumman P30 step van and a Belshaw Mark II “donut robot”. Lee is hopeful that Rohdie’s project will get fully funded which will be a testament to both Carpe Donut and Seedville. 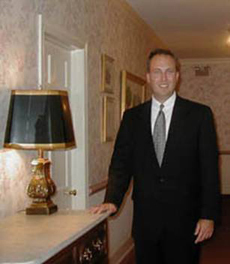 David Storke has been a funeral director in Bowling Green Virginia for over 25 years. He’s also the Mayor of Bowling Green and has been since 2006. It was in his position as funeral director where Storke came up with an idea for a comfort food startup. Being in the funeral business he was well aware that friends and loved ones like to console those with a loss in the family with food and meals. Outside of flowers and donations, preparing food for those who’ve suffered a loss, is something that’s easy to do and typically needed during trying times. So in 2007 Storke created Sympathy Food. Sympathy Food takes the hassle out of preparing a meal for someone going through a hardship and grief. 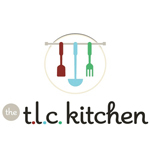 The company creates delicious, chef prepared meals to feed 4-6 or 8-12. The meals are prepared in a USDA approved kitchen and then shipped anywhere in the continental United States. After introducing the Sympathy Food concept the company grew in popularity and Storke came up with other occasions where prepared meals would be appropriate. 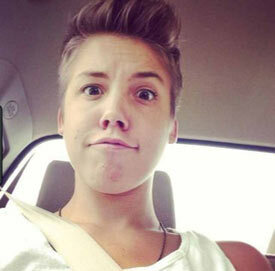 In April of 2012 he added Get Well Meals for illness and The Meal Stork to congratulate parents of a newborn. While both themes are perfect gift giving occasions they are also times when people could use a hand with cooking and preparing meals. With Storkes background as a funeral director, Mayor and now startup founder, we couldn’t wait for the chance to interview him. Check out our interview below. Lightsquared, the disgraced Northern Virginia startup that was once trying to deploy a terrestrial 4G/LTE network has appointed Doug Smith as their new CEO and Chairman of the board. LightSquared was once an esteemed satellite communications provider. What went wrong was a story that ran for about a year in the mobile tech media. LightSquared was working to deploy a 4G/LTE network on bands that were originally used for GPS. There was still fair amounts of GPS traffic on the LightSquared bands and LightSquared was causing interference with those GPS radios. As the company went to work on the 4G/LTE network they were operating on a conditional permit from the FCC which required that they find ways to circumvent the interference caused by LightSquared’s equipment on GPS radios. Through all of this LightSquared had inked partnerships with some of the nation’s wireless carriers. Reports in June of 2011 suggested Sprint had a deal with LightSquared for 15 years and valued at over $20 billion dollars. Leap Wireless, the parent company of Cricket, also had a deal with LightSquared. Luckily the Sprint deal was contingent on FCC approval of LightSquared’s plans. On February 22, 2012 LightSquared laid off 45% of it’s 330 employee workforce. Earlier in that same week they defaulted on a $56 million dollar payment on a note held by British satellite partner Inmarsat. Fast forward to Tuesday of this week and LightSquared has installed a new CEO and Chairman of the Board. We’ll have to see how long this life lasts. Denver loyalty and rewards startup Plink has been on a roll lately. Back in June we brought you this story about how they partnered with TangoCard to bring their rewards beyond Facebook credits and that strategy has seemed to pay off. Today they’ve announced that they’ve closed a $3 million dollar series A round entirely from mid-atlantic (VA & MD) based Grotech Ventures. Plink began as a company that would take offline businesses and incentivize their customer base with something simple, and easy that millions would benefit from, Facebook credits. While only offering Facebook credits they rapidly ramped up their brick and mortar customer base, until the recent transition to rewards from TangoCard partners. The company has reported that they will use the new funding to continue accelerating development of their offline program. Of course they will also ramp up member acquisition and their marketing efforts. Some of the largest fast food establishments are already on board with Plink including Arby’s, Dunkin Donuts and Burger King. Large chains have embraced Plink because it doesn’t require any changes to their existing point-of-sale infrastructure, does not require staff training, Plink does all the marketing and the restaurants only pay a percentage of the sales that Plink drives. Initial results have shown that Plink members are spending 65 percent more per month at partner restaurants than they were prior to joining Plink. It’s a risk-free, 100 percent turn-key model for national chains and Plink will soon be adding large retail and travel partners. Plink has raised $4 million to date. We’re on a nationwide sneaker-strapped road trip. Help us out here.